For many years I assumed that Mexican food was fattening or not healthy and therefore, I avoided it. How sad, because now that I am informed and educated about nutrition I realized that I sacrificed in vain. There are many things that not only do not get you fat, but that are ideal for dieting and also very good for our health. 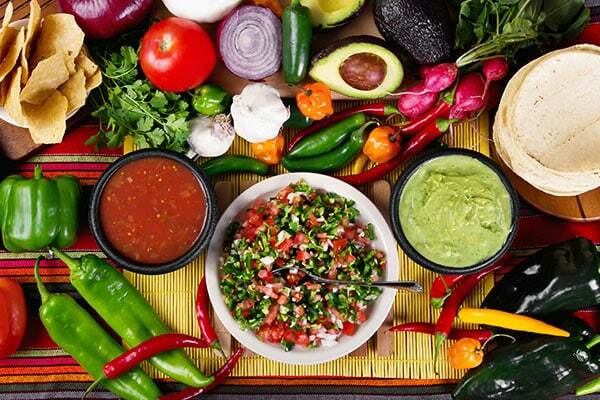 Mexican food is full of life. It is not food that we characterize as boring or tasteless. However, Mexican food also has elements that are not healthy or conducive to an ideal weight. Learn how to distinguish those dishes that are good and those that are not. I will share a typical day in my diet with Mexican food and 5 dishes that are better to avoid due the impact on your health and your weight. Many days I like to start my day with this power breakfast: two fried eggs, a portion of cooked beans (not fried) and grilled vegetables with olive oil (poblano peppers, bell peppers, onion, tomatoes, mushrooms, arugula). This breakfast gives me everything I need to start the day as a champion. At twelve I may eat an Acapulco fish ceviche, accompanied by guacamole (without nachos) and a portion of Mexican style rice using brown rice, olive oil and vegetables. At about 4, I eat strawberries, blackberries and blueberries with walnuts or almonds or almond butter with apple slices. At 6:30 or 7:00 PM I eat a chicken in Tarasca sauce, chile poblano soup and a green salad with fresh vegetables, olive oil and lemon. With these foods I can achieve my health and weight goals at the same time that I enjoy each meal and I am never left hungry. It is not that these are the worst but they are 5 of many, which have excess carbohydrates with low or zero nutritional value, and with bad fats. Then you are ready to BE FLACA FOREVER! and I will transform your life! Maru is a mom, celebrity nutritionist, chef and international best-selling author. 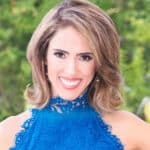 She is the creator of the Flaca Detox™ Program, which helps with lasting weight loss while getting you in the best shape of your life: physically, mentally and emotionally. www.FlacaDetox.com. Maru is an expert in achieving goals and transformations. She also understands the challenges of struggling with weight and health because she suffered from these during almost 30 years. I downloaded the book at Amazon but can’t link to the colored photos download?! Help! And we will send you the recipes in color. Thank you!